A Black Woman Did That! is a celebration of strong, resilient, innovative, and inspiring women of color. 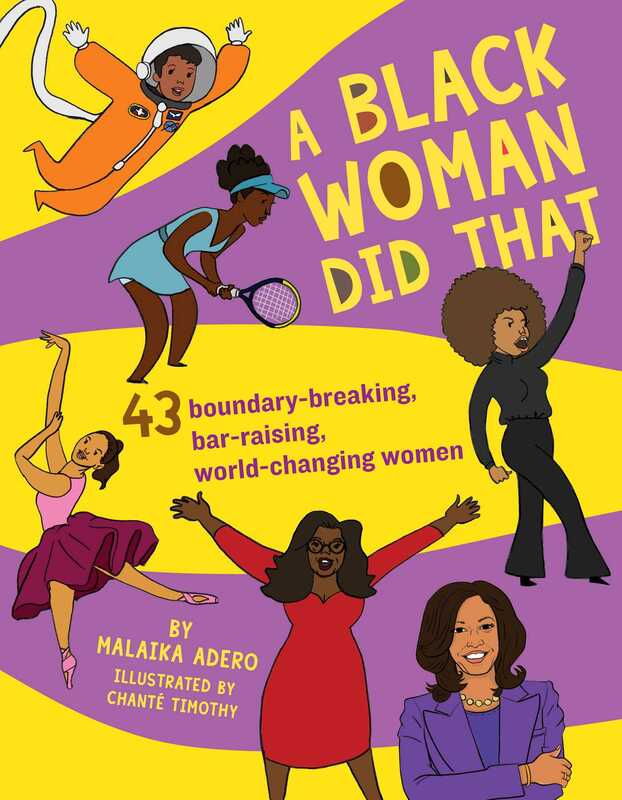 With a vibrant mixture of photography, illustration, biography, and storytelling, author Malaika Adero will spotlight well-known historical figures and women who are pushing boundaries today—including Ida B. Wells, Madam CJ Walker, Shirley Chisholm, Serena Williams, Mae Jamison, Stacey Abrams, Jesmyn Ward, Ava DuVernay, and Amy Sherald.